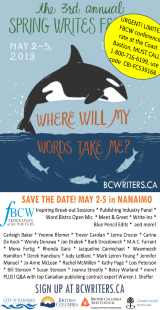 Trevor Carolan, editor, Making Waves: Reading B.C. and Pacific Northwest Literature (Vancouver: Anvil/University of the Fraser Valley, 2010). Paperbound, 272 pp., $20. In A Doctor Pedalled Her Bicycle over the River Arno, his recent collection of poems, Matt Rader writes of ways “to thole and live, let live.” The phrase, with its odd, archaic word, suggests the difficulty of being at home in a world riven by social tensions and historical injustices. The geographical centre of Rader’s world is Vancouver Island’s Comox Valley, but þolian—to thole, to endure, to abide—is a concern that attends the outlying locations, too: Hazelton, the Fraser Valley, the Oregon coast where Quadra, the Spanish navigator, met the Tillam ook. In Rader’s western places, the troubled business of making sense of place is shaped by the history of contact and colonization. Robert Bringhurst identifies several limitations of The Arbutus/Madrone Files in a tough but not unappreciative account of Ricou’s study, collected in Everywhere Being Is Dancing (2007). He takes “Files” to mean the book “is a tentative, largely arbitrary, and incomplete arrangement of observations and quotations,” although he notes that it is “rich with cagey, penetrating insights.” His most vigorously expressed criticism pertains to Ricou’s relative lack of attention to the “indigenous oral literatures of the Northwest,” including the oral texts recorded by ethnographers and linguists during the first half of the twentieth century. In Bringhurst’s estimation, “The truly perfect [regional] critic would know the flora and fauna no less well than the books, and would be fluent in fifty or sixty ancestral languages indigenous to the coast”—a standard that, as he recognizes, is humanly impossible. This response offers some insight into the problematic nature of the regionalist endeavour. North American literature in English represents a sufficiently complex field of study. A genuinely multilingual, multicultural, multimodal literary criticism is a daunting, perhaps hopeless undertaking—yet a compelling ideal. The subtitle of Carolan’s book, Reading B.C. 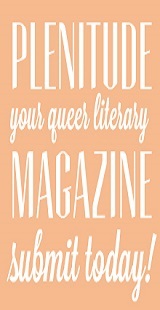 and Pacific Northwest Literature, indicates that even nomenclature is a critical problem. Is “Pacific Northwest” strictly an American designation or does the term include British Columbia? In Carolan’s understanding the region extends from Alaska to northern California, but he notes that multiple books would be needed to represent the literature of this vast area. For practical reasons, then, Making Waves is more narrowly focused than the subtitle suggests. 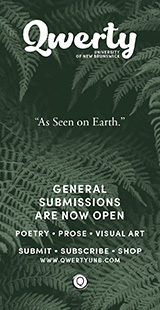 Of the fifteen chapters, seven concern Vancouver’s literary community during the 1950s, ’60s, and ’70s and six investigate environmentally oriented literature. Susan McCaslin examines, for example, the poetry of Don McKay, Russell Thornton, and Tim Lilburn, whose writing, so closely tied to the prairies, provides an opportunity for reflection upon the limits of regionalism as a useful lens. In McCaslin’s chapter, Lilburn is less a coastal regionalist than a significant interlocutor of McKay’s; the latter’s writing about southern Vancouver Island affords a clearer connection to place. The remaining chapters include a wide-ranging interview with P. K. Page and a personal essay by Carolyn Zonailo. The collection also touches upon northern B.C., Chinese Canadian writing, and, indirectly, to Indigenous literature (via an essay on Bringhurst’s works). Above all Making Waves concentrates on the particular avant-garde poetic subculture aligned with what Colin James Sanders terms “the San Francisco-Vancouver axis.” The Vancouver Poetry Conference of 1963 is cast as a defining moment because of its commingling of writers associated with various experimental movements: Black Mountain, the Beats, Tish. Sanders offers an anecdotal account of “the Berkeley Renaissance” and its effects on the literary scene in B.C. ; notably influential was Robin Blaser, who took up a teaching position at Simon Fraser University in 1966, moving to Vancouver from San Francisco with Stan Persky, then his partner. Sanders traces the cross-border movements of significant figures and of theories of poetics that are integral to the critical orientation and conception of the Northwest evinced in Making Waves. 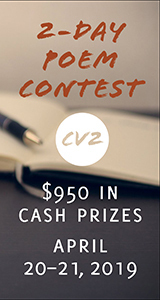 This orientation reflects Carolan’s own affiliations—among his works is a memoir of Allen Ginsberg—and the links of several contributors to the University of the Fraser Valley, where he teaches, and to the Pacific Rim Review of Books, of which he is co-editor. 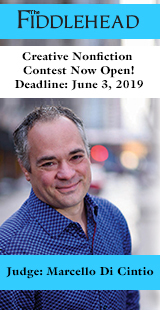 Several essays demonstrate the pivotal role played by Vancouver’s universities in fostering a local literary culture and in providing professional homes for many writers. Hilary Turner suggests the broad significance of her attention to academic politics by observing that “The English Department at UBC has functioned for most of its eightyfive years as a sort of Ellis Island for the literary scholars and creative writers of this province.” Although her essay recounts the perpetual squabbling between Earle Birney and Roy Daniells, who became Head of English in 1948, other writers figure in the narrative, including Robert Creeley, Irving Layton, George Bowering, Frank Davey, Lionel Kearns, and Phyllis Webb. Ron Dart’s essay on “West Coast Literary- Political Clashes: 1960-1985” reprises Turner’s subjects and themes but also describes comparable acrimony at Simon Fraser University. Jerry Zaslove and Robin Mathews were the antagonists on Burnaby Mountain, but the issues were similar to those that occupied Daniells and Birney: literary nationalism, the relation of literary criticism and scholarship to creative writing, and the influence of Americans in the Canadian academy. The subject receives further consideration from George McWhirter, who returns to the interdepartmental tensions at UBC. Histories of academic disputes are liable to be arcane, but, as Turner, Dart, and McWhirter show, the bickering at UBC and SFU had repercussions for literary communities in Vancouver and beyond. The essays in Making Waves do not much engage the extant criticism on individual authors or on regionalism, making no mention of Ricou’s books, for instance; they are generally suggestive rather than exhaustive. 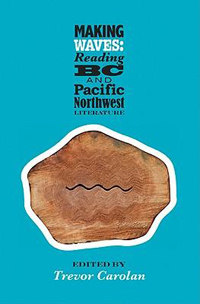 But the book is a welcome addition to a burgeoning field and an instigation to further critical inquiry into the multiple literary traditions of the Northwest. At its best, regional criticism, as with the works to which it directs attention, teaches how to thole and understand.